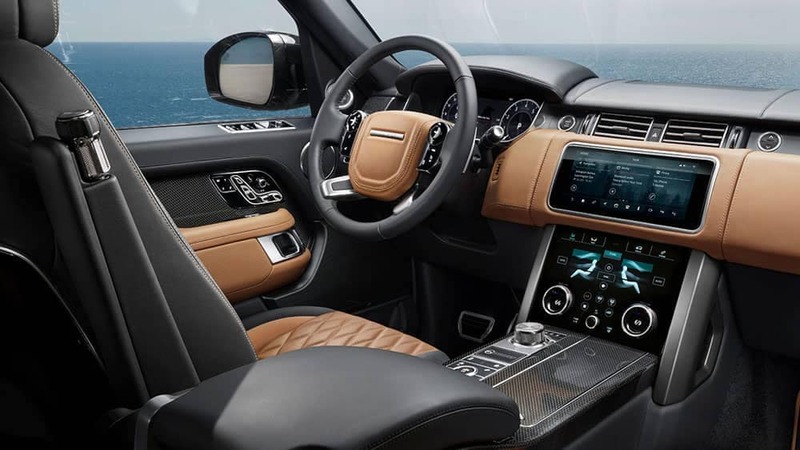 The more trim levels of the 2019 Land Rover Range Rover, the more interior options and upgrades available to you. Enhance your Edgewater commute with one of these Range Rover trims today at Land Rover Annapolis. Explore the prices, interior features, and more of each to find the one that’s right for you and your family then make the trip to Land Rover Annapolis for a test drive. Depending on the trim you choose and the configurations you opt for, you can tow up to 7,716 pounds and take advantage of Advanced Tow Assist and Rear Height Adjust technologies to make the handling the load that much easier. The Range Rover can also wade in water up to 35.4 inches with advanced water fording protection. Engine options are also plentiful. Be sure to check your options before choosing the Range Rover you want as there may be an option for more power on your Crofton commute. When you’re ready to get behind the wheel of the new Range Rover or one of its trims for your next off-roading adventure, make the trip to Land Rover Annapolis where you can take one for a test drive around Edgewater. In the meantime, contact us to learn more.